Felicity Spector spoke to Chris Galvin ahead of the Galvin Brothers opening night at Nigel Haworth's spectacular Obsession food festival. Now in its 15th year, Obsession runs for 15 nights, with chefs boasting a total of 27 Michelin stars between them. No wonder that all the dinners - at £115 a head - are completely sold out. Chris told me he decided to bring along a whole gang of head chefs from his restaurants, for the ride. "I thought it would be fun to get all of the boys involved. So there's Joo Won from Galvin at Windows, Tom Duffill from Bistrot de Luxe, and our executive chef Warren Geraghty - along with the two of us. We'll be making one course each - something to show this is a really big event and we feel so lucky to be involved." It's part of his mission to make the young chefs who work for him part of everything. "I just love gastronomy. And I want to instill that same love in the young people we have". They've decided to keep their food true to the region they'll be cooking in, sourcing much of it from farms in the Lake District. 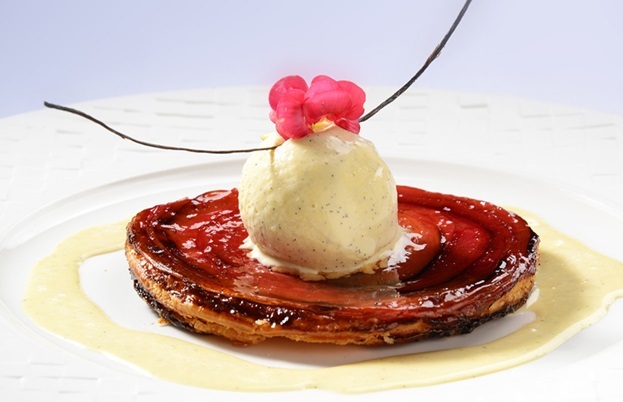 So on the menu this Friday: a pressed chicken terrine, a lobster ravioli, an assiette of rose veal, a Brie sandwiched with black truffle and a tarte fine of Yorkshire rhubarb. "We are going to prep a bit of it before we go, some mise-en-place, but because there are so many of us, some of us will have to go up on Friday morning - the others can go the day before. Nigel is organising all the raw ingredients, and we'll be working with his team when we arrive." 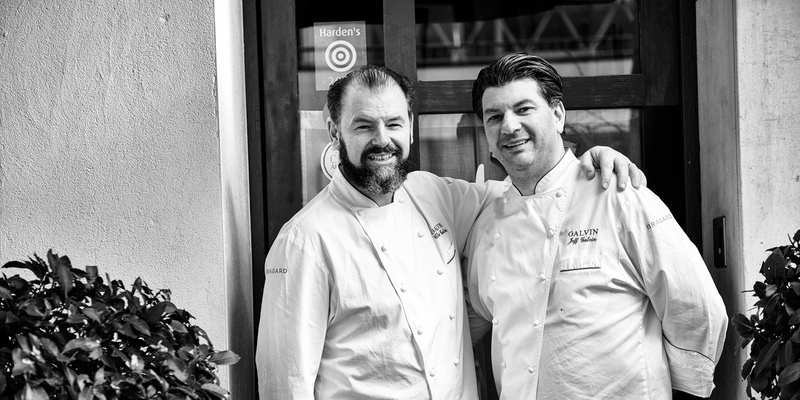 Many of the dishes already feature on Galvin menus: "We're taking a little bit from each." 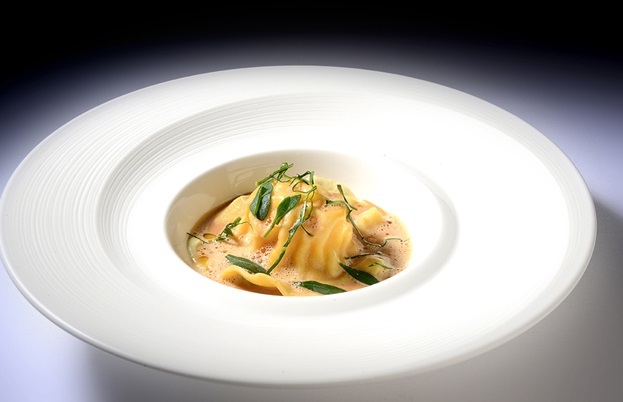 The cooking, the techniques and the menu reflect his philosophy and style. "We are ingredient led, and seasonally inspired. It's funny really, we are two Essex lads cooking French food - but without putting a label on it, we really just care for classical techniques, and the best ingredients we can find, treated simply." They tasted the menu as a team to make sure it flowed - while Nigel's business partner and co-owner Craig Bancroft has been an inspired sommelier. "We knew we'd be in really safe hands with Craig when it comes to the matching wines. He is absolutely brilliant with his wine, and they have a beautiful cellar there." Chris is full of praise, too, for Nigel's spectacular feat of organisation in making Obsession happen. "He finds some up and coming people, takes a risk, and gets some big names involved. Phil Howard is there every year, but he also discovered the Scandi crowd way before they got so fashionable. It's often so disruptive getting new teams coming into your space, but we know we'll always have a proper Lancashire welcome. Nothing is ever too much trouble for those guys - although I expect when we're all gone they might breathe a little sigh of relief." Nigel, he says, is also incredibly generous - with his time, his food - and his staff. "He's always sent his best young chefs down to London, when he thinks they're ready - he's always thinking of how they can progress, their well being. Nigel's got a very big heart." Like most of the chefs involved, there won't be much spare time to linger and enjoy that famous Haworth hospitality. "But one year", Chris confesses, "I'll treat myself as a guest. Take some time to appreciate the incredible atmosphere".